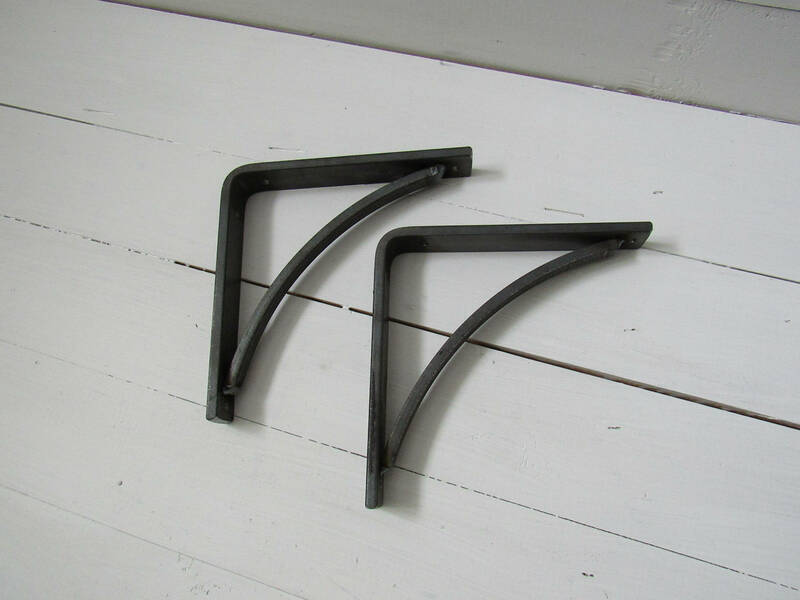 Handcrafted 1” wide modern corbel/shelving brackets with 1/2” rounded, support bar. 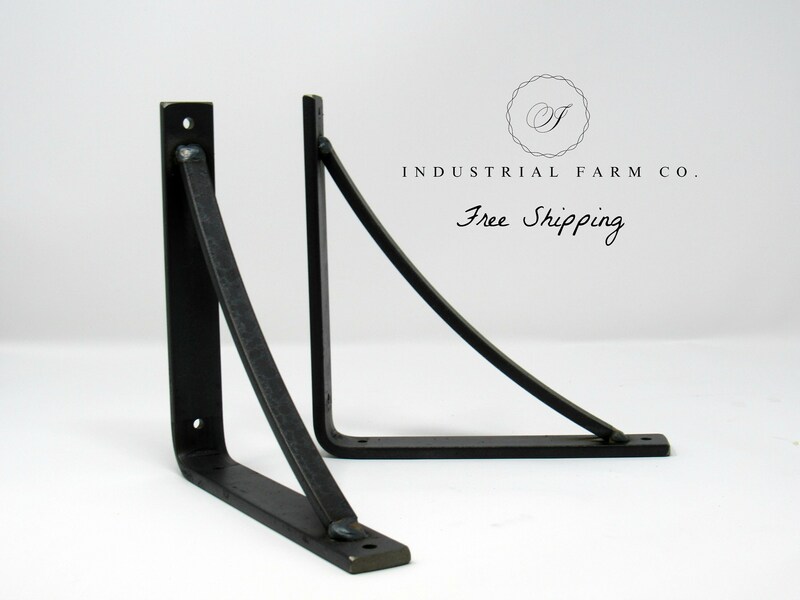 Ideal for residential shelving, picture ledges, or open shelving. Max suggested weight 20lbs. 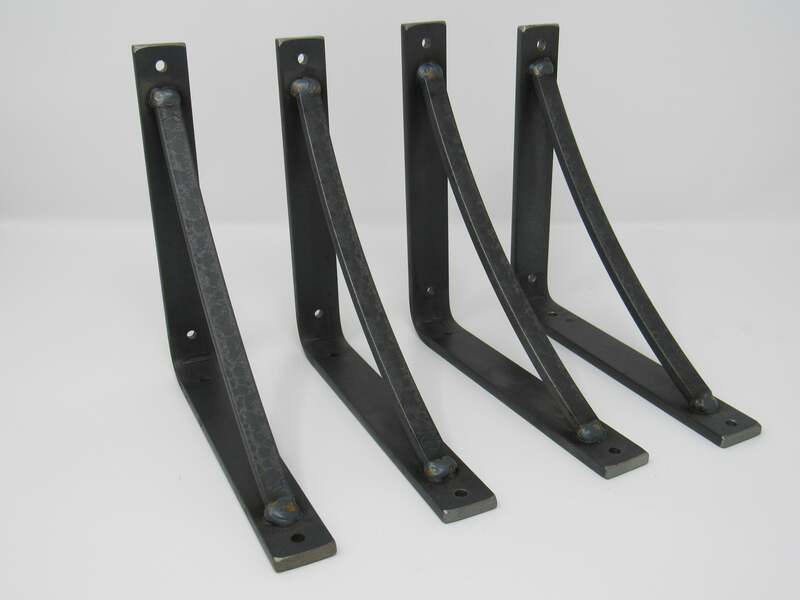 All brackets made to order from 1/4" thick steel. Pick your dimensions from the drop down options. Brackets come pre-drilled. Steel is raw and unfinished, color is black/grey. Please see below for care instructions. Don't see the size you need? We can make custom sizes/designs upon request, please contact us with any questions! Everything we make is made to order! 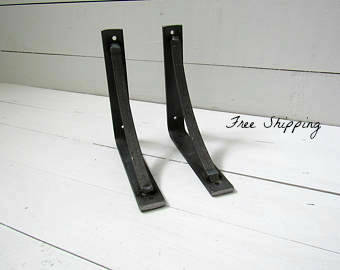 We start by using raw steel that we buy in 20' lengths from local mills in Syracuse & Utica, NY. 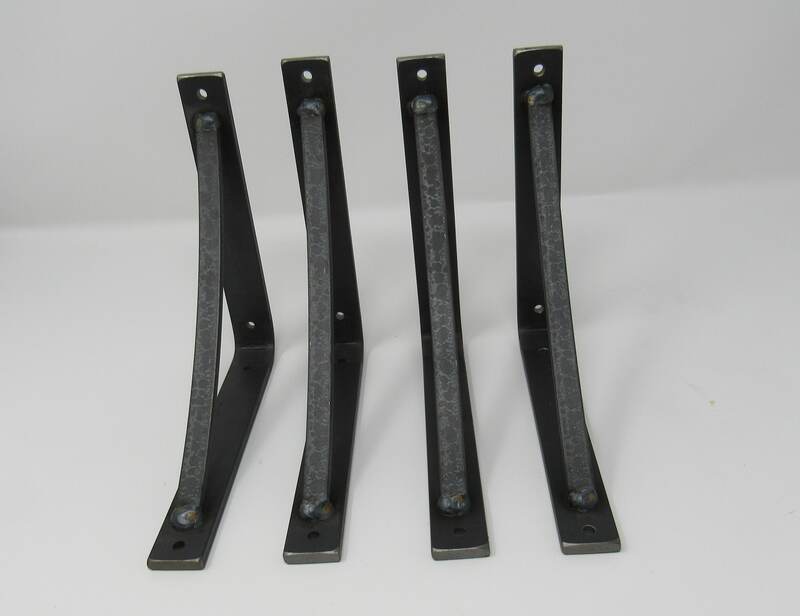 Even though we consistanly buy the same grade of hot rolled steel, each batch can vary in color, scale, scratches and other visible imperfections. 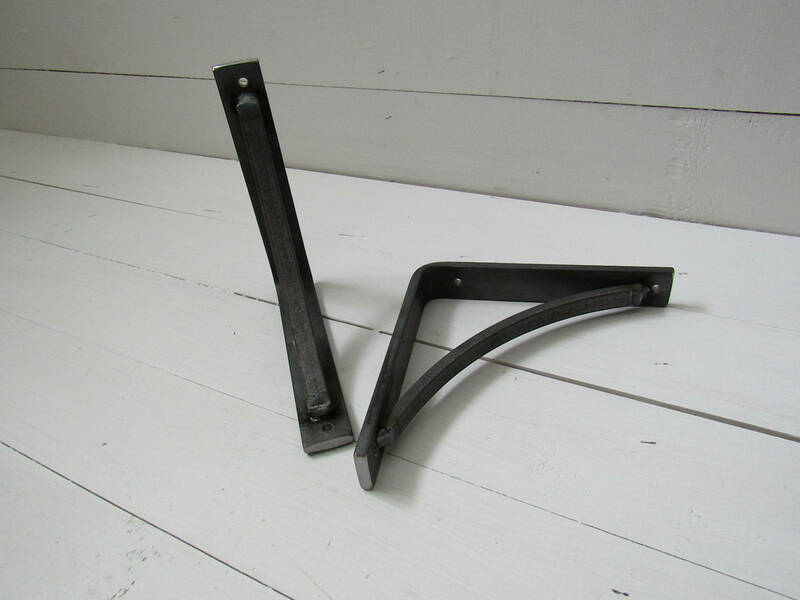 We cut the steel to the needed lengths on our band saw and deburr it to smooth all edges. The steel is marked, drilled, and then bent. We recently upgraded our bender to speed up our process! 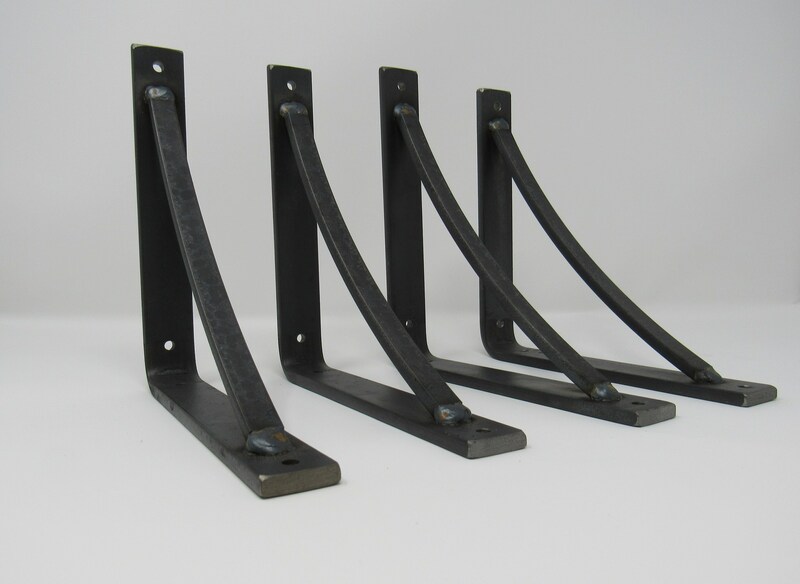 If the brackets/corbels have a support bar, they are sent over to our welding area to be finished! 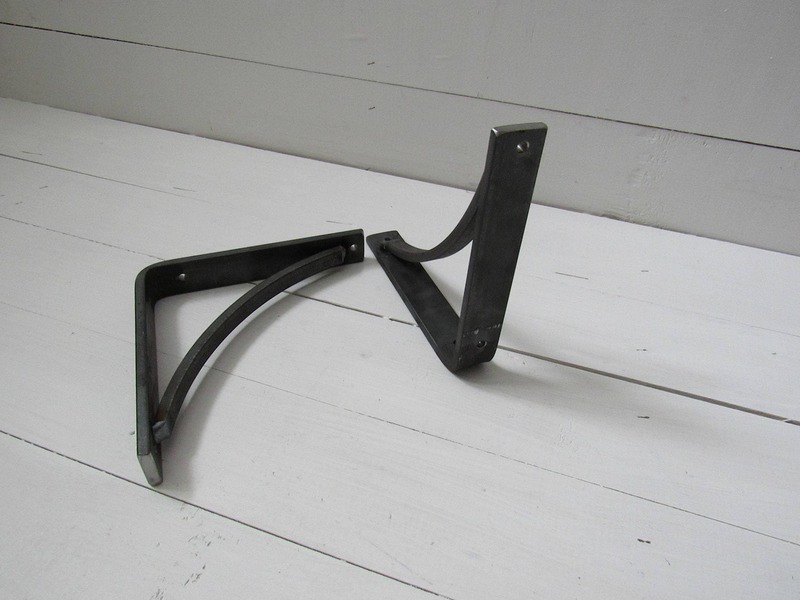 Before anything leaves the shop, we look the brackets/corbels over for any visible oxidation, or "rust". If we see any we remove it with a scotch brite pad or steel wool before it is shipped. Over time, all metal (with some exceptions) with oxidize or "rust". The rate at which this happens varies and depends on the environment and level of humidity. Since our customers preference varies, if you choose to leave the steel raw, we reccomend using a dry scotch brite pad or steel wool to remove any visible "rust" as it occurs. Some customers paint our products with rust protecting paint, like Rustoleum! 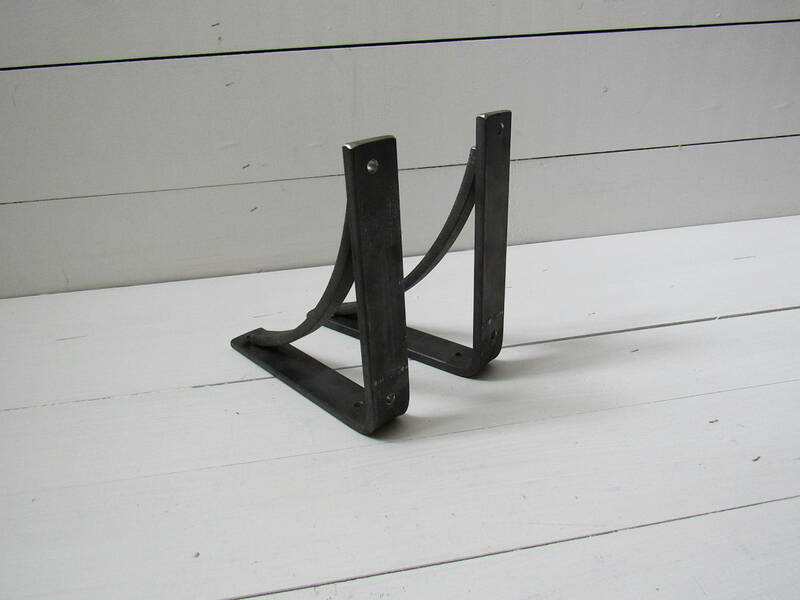 Or we have had other customers use beeswax to coat the metal to help prevent "rusting".